‘Dhingli – A Short Film’ is a very popular short film written and directed by Ravi Rajyaguru. Starring Rikita Sonpal, Ravi Rajyaguru, Mahima Bhatt, Siddharth Lashkari, Vishal Prajapati, Megha Joshi, Sudhir Kariya. 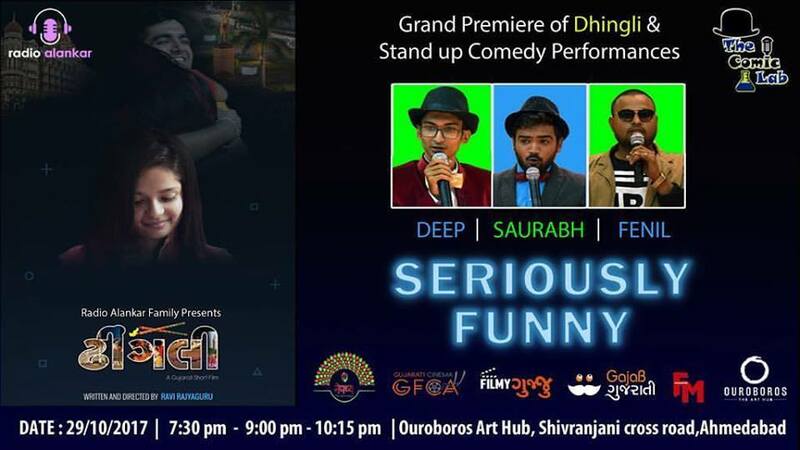 We will also present the comedy show by stand up comedians SAURABH, DEEP AND FENIL named ‘SERIOUSLY FUNNY’ and presented by ‘THE COMIC LAB’.